for $279,000 with 2 bedrooms and 2 full baths. This 1,082 square foot home was built in 2009 on a lot size of 4.85 Acre(s). This gem of a home is located on aprrox. 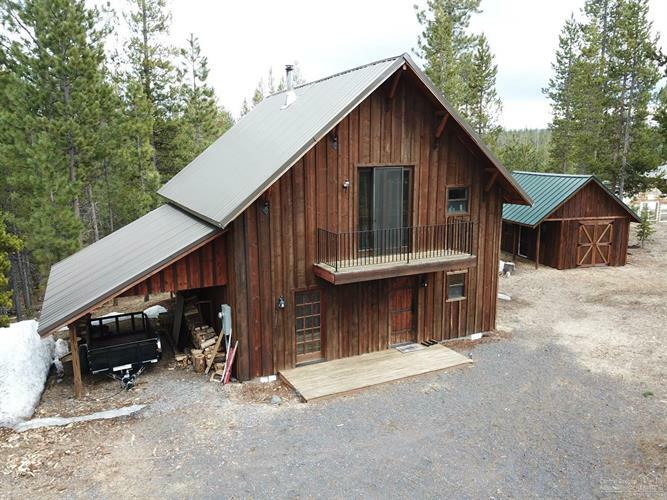 5 acres of Little Deschutes river canal frontage! Watch deer and elk from your living room. Surrounded by limber co. owned/forestland. Numerous mountain lakes are near by, including Crescent & Odell Lakes. Willamette Pass ski resort & Pacific Crest trail approx 30 minutes.